In this post, PhD student Ashleigh Watson reflects on making So Fi zine and how we can ‘do’ sociology in new ways. Submissions for So Fi zine Edition #2 are open now. Sociological fiction is creative work that brings sociological imagination to life. Arguably all sociological writing (or should…) engage this imagination to tell stories about society. However, despite the fact Mills’ ‘imagination’ has been fashioned as the core of our contemporary discipline, few sociologists work imaginatively or write as if they are doing this story-telling work. There are many reasons for this, including how scholarly work is measured and valued today. In spite of – or perhaps because of – the increasing quantification of research and the push to achieve ‘impact’, I see ongoing engagement with this idea of sociological imagining as crucial for fulfilling the potential of our research work. Writing sociological fiction is one way we can engage in this imagination. In my practice-based PhD I look at arts-based public sociology and focus particularly on fiction writing. I’m interested in how we do sociological imagination – not how we employ ‘the’ sociological imagination, because I think approaching Mills’ concept as a fixed analytical tool is limiting and, despite his own phrasing, perhaps not what Mills himself envisaged as he tied this imagination to realising the promise of sociology. In my PhD, I focus on the tensions between individualism and relationality within a contemporary Australian cultural context through writing a sociological novel. I do this to a) construct a creative work of public sociology that may engage people in sociological imagination rather than with sociological research, and b) explore the limitations of this kind of work to understand how public sociology may become more effective and affective. When I became a sociologist I had the aspirations many of us have—to jar people into thinking and seeing differently, to crystalize micro-macro connections so that people might reflect on their own lives and the society of which they are a part, to unsettle stereotypes and the ideologies that support them, and above all, to somehow, in some small way, make the world better. These goals didn’t seem out of reach. After all, I was endlessly conducting interview research or what we call “gathering data.” The more data I collected and analyzed, the more insights I developed. This stuff was interesting—to the people it was about, to me, and I knew to others who would be able to relate. Then reality came crashing in. Like most academic research, no one would ever read it. That’s when I returned to my childhood passion, but with grownup tools. Writing sociological fiction has made me a better thinker, writer, scholar, and human being. I’ve continued to publish novels and short stories and to build spaces for others to do the same, because I believe to my core that in this work we are all able to get closer to achieving the “sociological imagination”. In their own ways, each of the authors in So Fi edition #1 engage with this sociological imagination – fictionalising from field work, writing about music and authenticity, individuality and privacy, universities, government, and what it means to do sociology. Edition #2, set to be published in late November, is inspired by the work of Howard Becker. 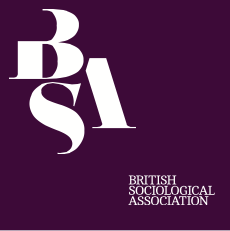 Becker has written extensively about styles and mediums for sociological work, including in his book Telling About Society which looks at the insights and expressions shared by social scientists and artists of various kinds. While Becker doesn’t write fiction himself, his sociological renderings are striking and lyrical. Like Leavy, Becker goes beyond writing about how to do imaginative and engaging story-telling sociology; he actually does this kind of work. As I said in my own editorial for edition #1, fiction is important because it’s a valuable arts-based research method. It can also help us communicate our complex ideas in more accessible ways, it can help us teach our students to think sociologically, and it can help us understand theory and knowledge and the social world in ways that are hard to get at otherwise. I think that with fiction we can show people the value of sociological thought, and I think that writing fiction can help us imagine sociologically. Importantly, fiction is also an end in itself: it doesn’t have to be ‘employed’ as a method or pedagogical tool to be good or be meaningful to us. And just as fiction brings something important to sociology, I think writing with sociological imagination can bring something new or different and exciting to fiction too. If you’d like to contribute to So Fi zine edition #2, see sofizine.wordpress.com for info and send your submissions to ashleigh.watson@griffithuni.edu.au by September 30, 2017. We are accepting short stories up to 1200 words, poetry, drabbles (stories of exactly 100 words), photo essays, cartoons, and other creative work. Ashleigh Watson is a currently completing a PhD in Sociology with Griffith University, Australia. She recently completed an Endeavour Research Fellowship at Goldsmiths, University of London, and is the producer/editor of So Fi zine. She tweets at @awtsn.